Click on any image for a larger view. 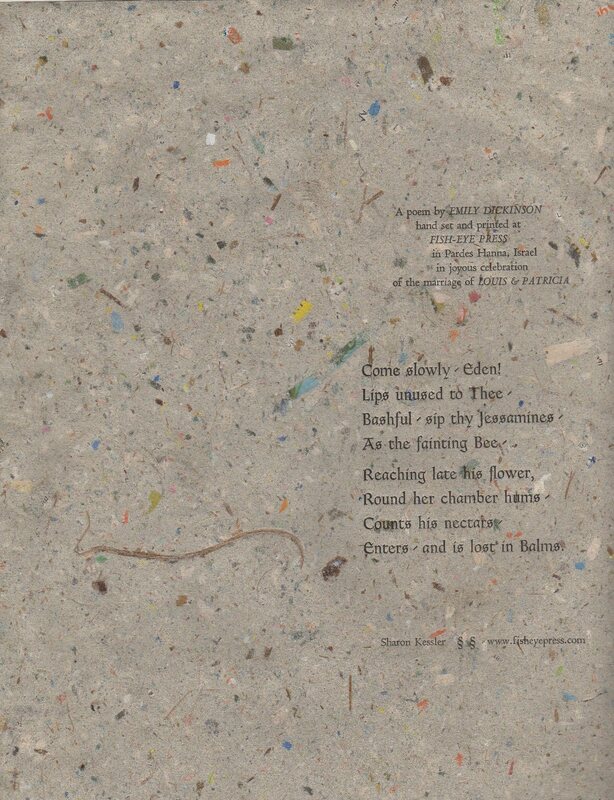 All poems printed at Fish-Eye on a 6.25 x 9 inch platen press unless noted otherwise. 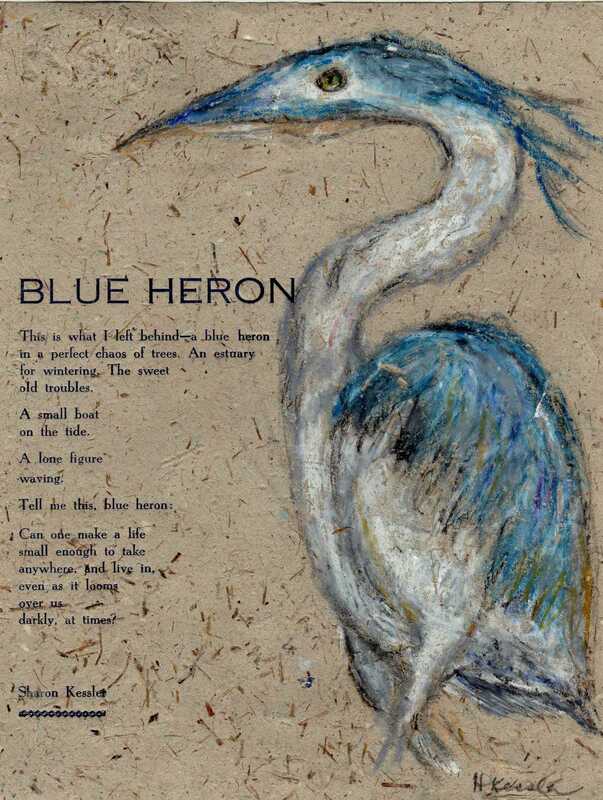 "Blue Heron" by Sharon Kessler. Illustrated by Harriet Kessler. 10 copies on handmade paper. 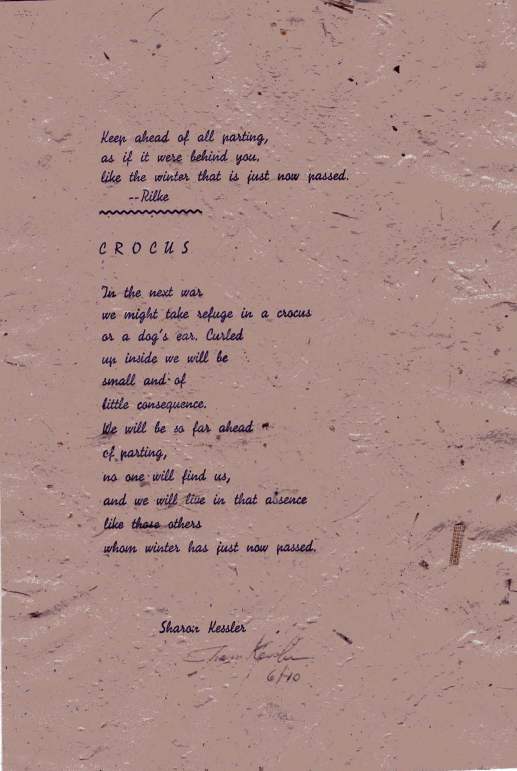 "Crocus" by Sharon Kessler. 10 copies on handmade paper. "The Thistle" by Lea Goldberg. 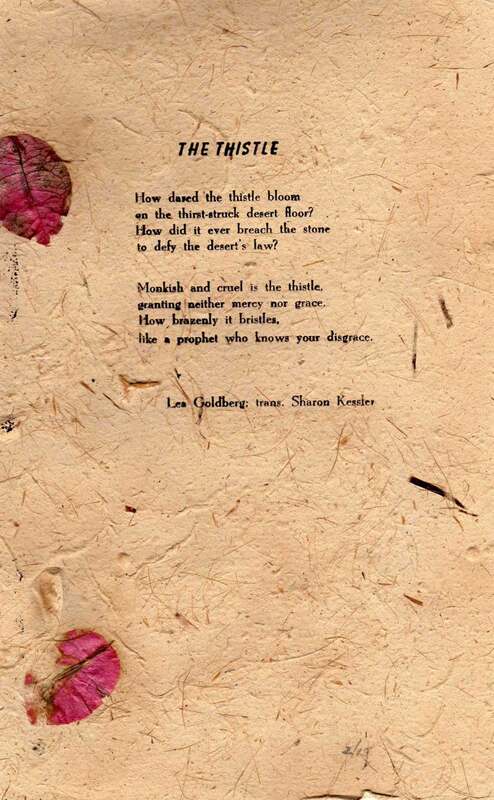 Translated from the Hebrew by Sharon Kessler; 15 copies on handmade paper. 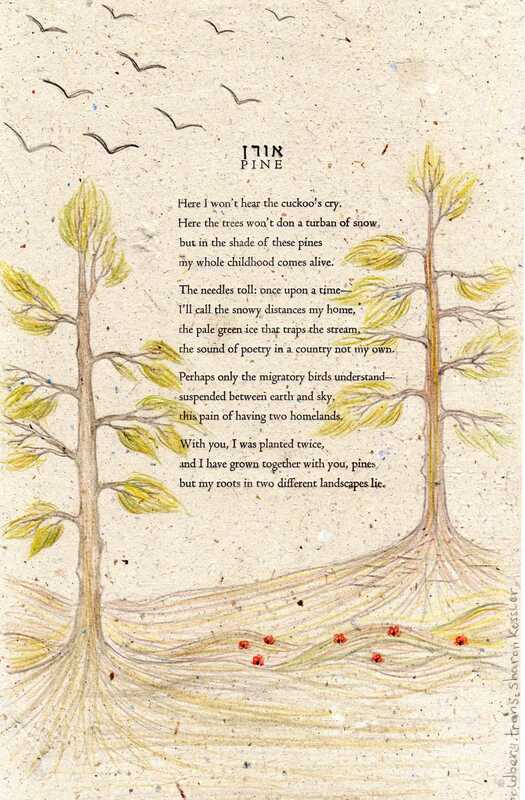 "Pine" by Lea Goldberg. Translated by Sharon Kessler; 5 copies on handmade paper, illustrated by Noga Farchi. English text: Centaur; Hebrew: Tsvi Dak. 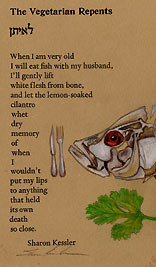 "The Vegetarian Repents" by Sharon Kessler. The text face is Dante; the title is DeVinne. Printed on a Vandercook at the Center for Book Arts in NY and illustrated by Noga Farchi. 25 copies. "Watching Mt. 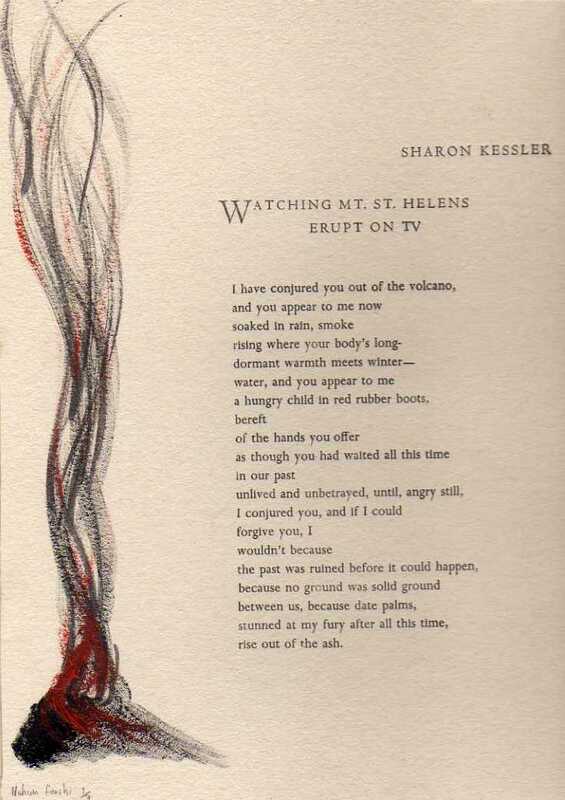 St. Helens Erupt on TV" by Sharon Kessler. The typeface is Centaur. Printed on handmade paper with artwork silkscreened from a design by Nahum Farchi. 6 copies. "Watching Mt. 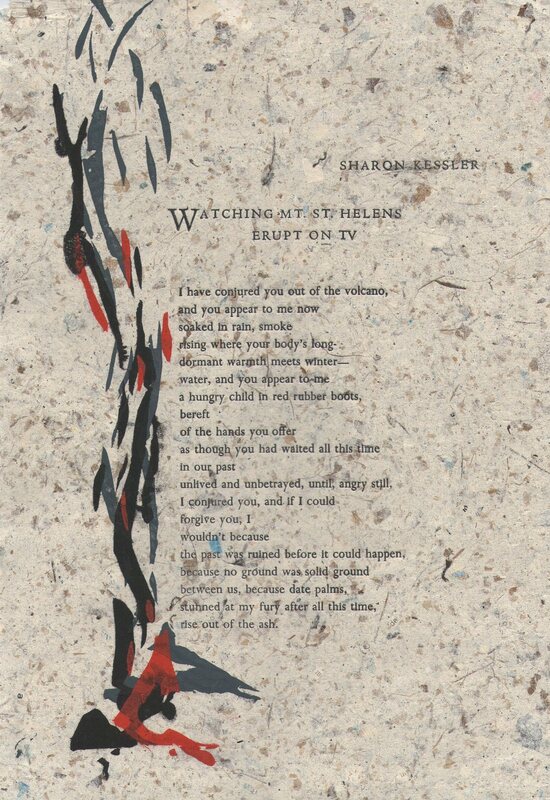 St. Helens Erupt on TV," printed on heavy card stock, with charcoal & acrylic by Nahum Farchi. 3 copies. Emily Dickinson poem printed in honor of the marriage of Louis & Patricia. The typeface is Goudy Thirty. 3 copies, 2 on handmade paper, 1 on heavy card stock. 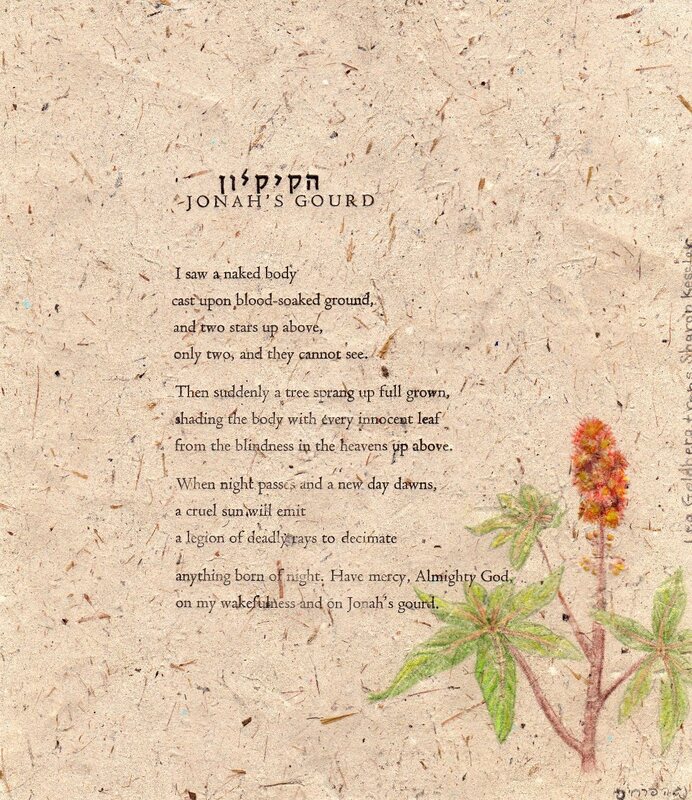 "Jonah's Gourd" by Lea Goldberg. Translated by Sharon Kessler. Unique artist's proof on handmade paper, illustrated by Noga Farchi. English text: Centaur; Hebrew: Tsvi Dak. Take me back to Fish-Eye.